There are no comments for Toupee. Click here to post the first comment. 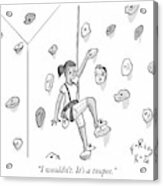 Publication: New Yorker Image Type: Cartoon Date: September 3, 2018 Description: Woman rock climbs indoors. 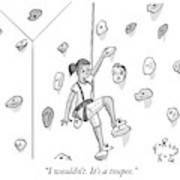 One of the rocks is a man’s head. 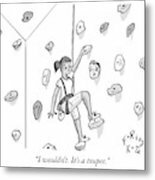 Caption: "I wouldn't. 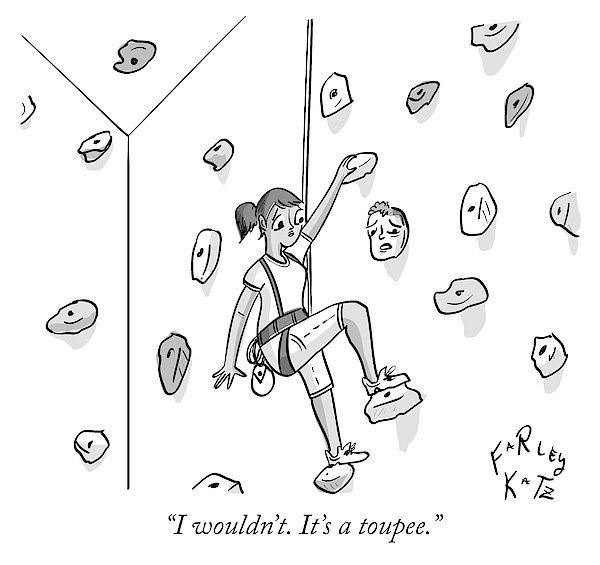 It's a toupee."